Age discrimination in the workplace means treating a job applicant or an employee less favorably because of that person’s age. While federal laws only apply to workers over the age of 40, New York state and city laws protect all workers from age discrimination. Age discrimination is a serious offense. The federal Age Discrimination in Employment Act of 1967 (ADEA), the New York State Human Rights Law (NYSHRL), and the New York City Human Rights Law (CHRL) all protect workers from age discrimination, and age discrimination lawyers enforce the law by protecting your rights. Contact New York age discrimination lawyer Charles Joseph for a free consultation to protect your rights today. Charles Joseph has over twenty years of experience with age discrimination cases, and his firm has recovered more than $120 million for clients. Reach out today for a free, confidential consultation. It is illegal for an employer to make employment decisions based on your age. Employers cannot make employment decisions based on your age instead of your skills or how well you do your job. This includes decisions about hiring, firing, discipline, distribution of benefits, promotion, compensation, job training, or any other condition of employment. Young people can also be the victims of age discrimination. While the federal ADEA only applies to workers over the age of 40, New York state and city laws apply to workers of all ages. Age discrimination can occur even if the perpetrator is over 40 or the same age as the victim. If you have been the victim of illegal age discrimination, you have protections under federal, state, and New York City laws. Age discrimination in employment violates the law. This includes making employment decisions based on someone’s age, including refusing to hire a job applicant based on their age. There are several types of age discrimination that employees should know about. Employment decisions include hiring and firing. Federal, state, and New York City laws protect employees from age-based discrimination in employment decisions. You apply for a job for which you have experience and excellent qualifications. The hiring committee chooses a much younger candidate because they believe he will be more committed to a full-time position because of his age. Your employer tells you that it is laying off you and several coworkers of a similar age due to company cutbacks and reorganization, while younger employees get to keep their jobs. You have several years of experience working in your current job as a receptionist, but your employer fires you because your boss says you look too old or sound old on the telephone. Laws against age discrimination also protect employees from not receiving promotions, including tenure. After several years at the same company, you receive exemplary reviews and an employee-of-the-year award. Yet every time you apply for a promotion, the position is filled by an older employee with similar qualifications. When you complain, your boss says you look too young to be a manager. You have worked as a low-level manager at a company for years and have had excellent performance reviews. Your responsibilities have increased over time, but your job classification and salary do not reflect this. Your boss says that the company does not want to invest in you because you’re too close to retirement age. You are a teacher on a three-year tenure track with excellent performance evaluations. But your boss questions whether you can put in the necessary hours at work. He points out that you are significantly older than the other teachers up for tenure. As a result, you are denied tenure. Unintentional age discrimination can also be illegal. Job policies that appear neutral can be discriminatory. For this reason, policies cannot disproportionately harm workers based on age, unless the policy is job related. For example, a company cannot require that all prospective employees undergo a physical fitness test before being hired if being physically fit has nothing to do with the company’s business. The requirement must relate to carrying out the job. However, employers can require a minimum level of experience for any position, as long as it is not tied to a specific age. Age discrimination can occur regardless of the age of the victim or the perpetrator. You can be the victim of age discrimination even when no employment decision is involved, because age-based harassment can create a hostile work environment. Jokes, slurs, or offensive or derogatory remarks about people of a certain age can create a hostile work environment. Under state and city law, anyone over the age of 18 can be subject to age-based harassment. Federal law only applies to workers over the age of 40. New York City has a generous standard for a hostile work environment, which is defined as being treated less well than others because of your age as long as the poor treatment amounts to more than a “petty slight” or “trivial inconvenience.” Federal and state law require that the conduct be either severe or pervasive. It is important to speak up when you witness offensive conduct to make it clear that such comments are unacceptable and unwelcome. It is a misconception that only the target of hostile comments can be the victim of a hostile work environment. You can be a victim even if you are not the person being targeted by the offensive behavior––and even if you are not a member of the targeted age. It is a misconception that only your boss can create a hostile work environment. Employers have a responsibility to prevent age discrimination. A co-worker, a supervisor in another area of the company, or even a non-employee, like a vendor, can be the perpetrator. Age discrimination can happen in any workplace. If you are the victim of age discrimination or a hostile work environment, there are several steps you can take right away. Proving age discrimination means keeping good records and protecting your rights. A New York age discrimination lawyer can help. Proving age discrimination starts with knowing your rights. Keep good records and reach out to a New York age discrimination lawyer for help. Age discrimination in employment lawyers can help you collect the evidence to make the strongest case. If you complain about age discrimination in the workplace, it is illegal for your employer to take any action against you. In addition to protections for different types of age discrimination, the law also protects employees from retaliation. 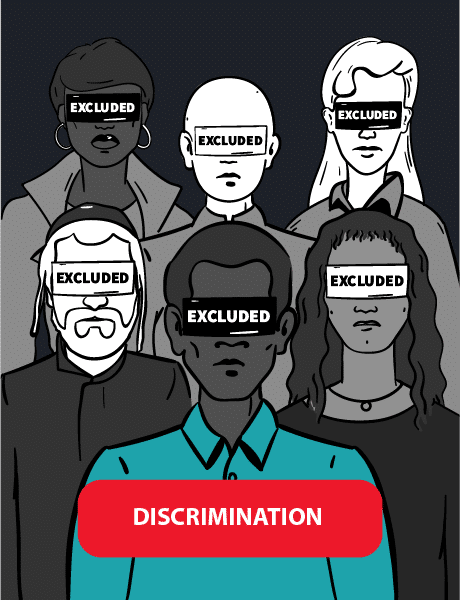 It is illegal for employers to retaliate against applicants or employees who complain about discrimination on the job, file a charge with the Equal Employment Opportunity Commission (EEOC) or any state or city agency, or participate––including being a witness––in an employment discrimination proceeding, such as an investigation or lawsuit. If you speak out about discrimination and harassment in your workplace, the law protects you from retaliation. Age discrimination lawyers can help protect your rights. If you choose to file a claim for age discrimination, there are a number of options available. You can file a complaint with the U.S. Equal Employment Opportunity Commission (EEOC), which handles violations of federal law, or the New York State Division of Human Rights, which handles NYSHRL violations, or the New York City Commission on Human Rights, which is responsible for CHRL violations. If your claim falls under multiple laws, the three agencies that handle discrimination claims have what is called a “work-sharing agreement.” This means they cooperate with each other to process your claims. There is no need to file a claim with each agency. You just need to indicate that you want your claim “cross-filed” with the other agencies. Applies to companies with at least 20 employees, including employment agencies, labor organizations, and federal, state, and local governments. Does not apply to independent contractors. Covers companies with more than 4 employees, including state and local governments and domestic workers. Applies to companies with more than 4 employees, including municipal employers and unpaid interns. Covers some independent contractors. Must file a complaint with the EEOC within 180 days of the incident. If the charge is also covered by state or city laws, the filing deadline is 300 days. You cannot file an ADEA claim in federal court without first filing with the EEOC. Can file in state court or with the New York State Division of Human Rights. If you file a claim with the agency, you must do so within one year of the incident, or within 240 days if your claim includes a Title VII claim. You have 3 years from the date of the incident to file your claim in state court. Can file in state court or with the New York City Commission on Human Rights. Reprimands and negative performance evaluations only covered if accompanied by a reduction in pay or demotion. Same as ADEA Performance evaluations and discipline decisions are covered by the law, even without reduction in pay or demotion. Victims of age discrimination in the workplace can recover damages, back pay, and fines from their employer. Contact a New York age discrimination lawyer to pursue your legal remedies. Back Pay: Back pay is the wages, bonuses, and benefits that workers lost because of discrimination. The courts can award back pay based on what you would have earned without the discrimination. Reinstatement: Courts can order your employer to rehire you or give you a promotion that you were denied because of age discrimination. Front Pay: Front pay compensates employees for lost wages and other money because of age discrimination. You can receive front pay equal to how much money you need to return to your position before the age discrimination. Compensatory Damages: Victims of discrimination receive compensatory damages based on their lost wages, the cost of finding a new job, and emotional pain and suffering. These are out-of-pocket expenses caused by the age discrimination. Punitive Damages: Punitive damages punish the employer for not stopping the discrimination. New York City’s law includes punitive damages for employers who were negligent, reckless, or consciously disregarded your rights. Liquidated Damages: Rather than providing compensatory or punitive damages, the ADEA includes liquidated damages. This is a monetary penalty equal to the amount of back pay owed. Attorneys’ Fees and Costs: If you successfully bring an age discrimination suit, the court can order your employer to cover your attorney fees and any court costs.